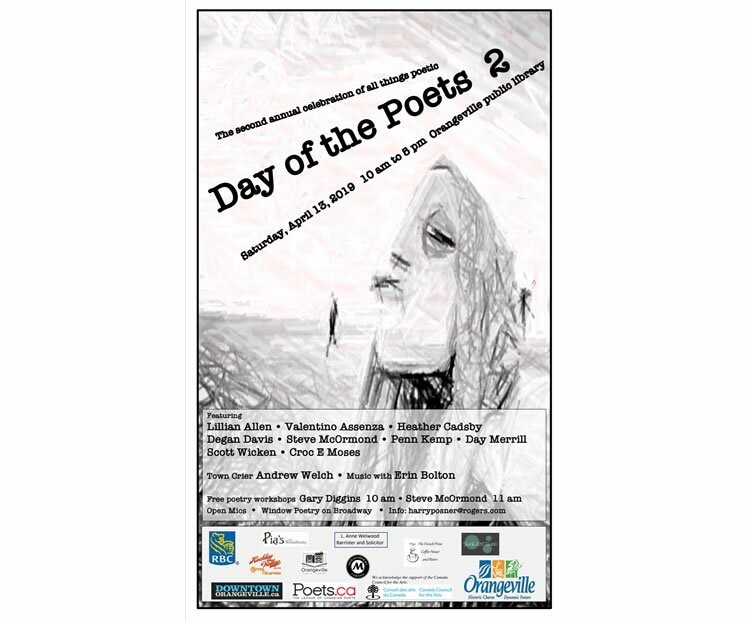 Orangeville’s second annual Day of the Poets festival. Poetry, music, open mic. Featuring the queen of dub poets Lillian Allen, spoken words whizzes Valentino Assenza and Croc E Moses, and many more. Special musical guest Erin Bolton. Free poetry workshops with Gary Diggins and Steve McOrmand.